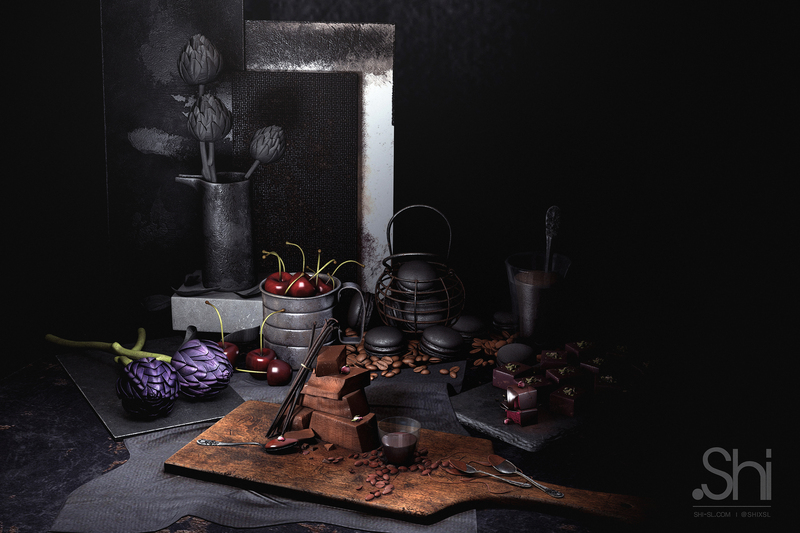 We are excited to present you the “Dark Decadence” Food & Decor set for the Shiny Shabby event! This set is also being featured with Nutmeg as a collaborative effort to infuse both our styles of vintage and modern minimal together. 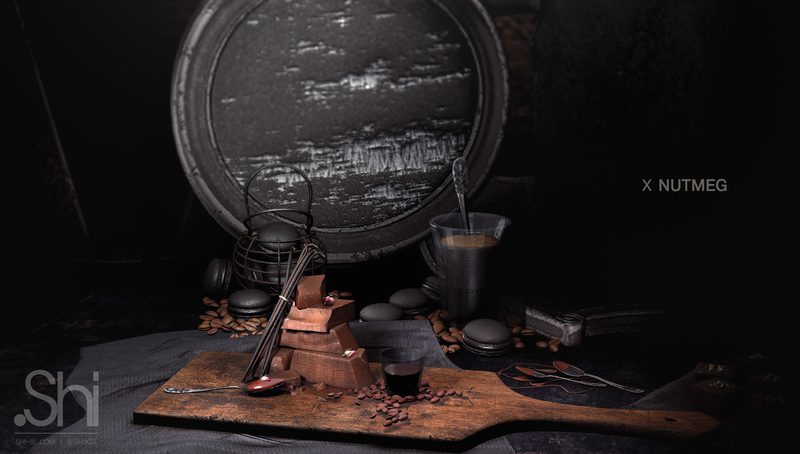 Cacao & Espresso Platter – Includes organic raw chunks of cacao with fresh vanilla pods, silver vintage spoon with melted heap of cacao espresso, espresso shot glass and fresh arabica beans. 3. Espresso & Macaroons – Includes a clear glass of espresso, black truffle macaroons and fresh arabica beans. 4. 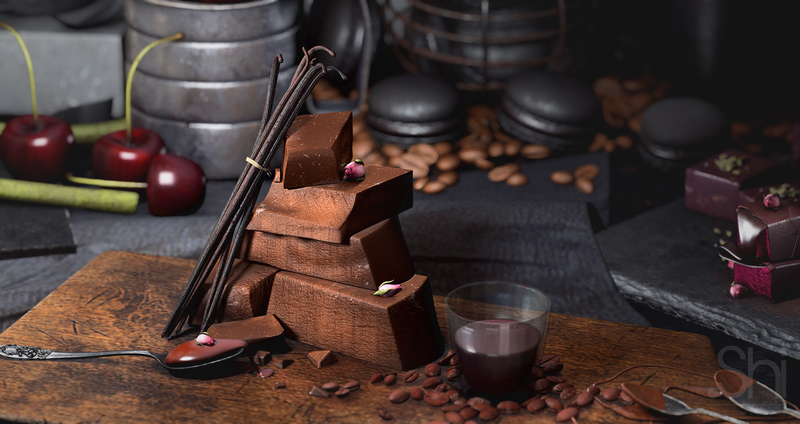 Chocolate Stained Spoons – Includes a pair of silver vintage spoons stained with pure chocolate decadence. 5. Cherries n Mug – Includes a distressed dented used mug with fresh luscious cherries. 6. Cacao Truffles Platter – Includes a stone slate filled with delicious chocolate truffles topped with chopped pistachio nuts and sea salt sprinkles. 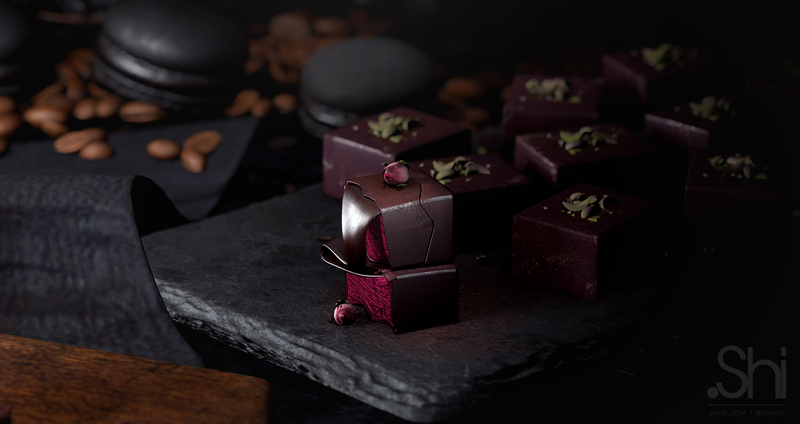 Featuring a halved piece baring a rich cherry almond interior oozing with dark luxurious rose hinted chocolate topped with dried french rose buds. 7. Mono Artichoke Vase – Includes 3 stalks of black artichoke in a black clay vase resting on a modern concrete with fallen artichoke leaves and monochromatic wall art display. 8. Purple Artichoke Display – Includes 2 purple artichoke stalks on a stone slate. 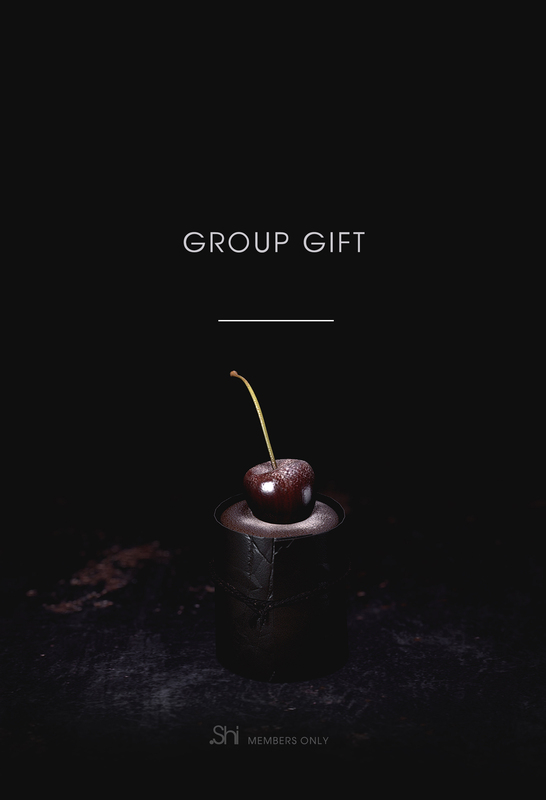 There is also a GROUP GIFT for you available at the booth at Shiny Shabby. Please do activate the .Shi in-world group to click and redeem it. *Note: The final purchase includes both modify & copy permissions.